Betty was called home to be with the Lord on Feb.18, 2019. She was born in Winfield, Kansas to George and Orpha Johnson in 1936. Betty was raised in Northern California and was 82 at the time of her death. Her family and friends will sorely miss her. Betty lived in Westwood since 1963. 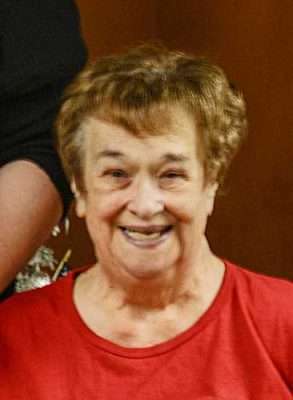 She worked as a cook in Susanville and in Westwood at the Senior Center and as assistant cook at the elementary school. Betty especially loved cooking for her family and friends. Her family knew there would always be an abundance of home made tortillas, tamales and salsa on hand. Her grandchildren always knew there would be fresh baked cookies waiting for them at Grandma’s house. As her mobility declined, she even continued cooking and baking from her wheelchair. Betty enjoyed playing card games and bingo with family and friends. Betty also loved sewing and she was gifted with the ability to create many fine needlepoint, embroidery and crocheted items. She loved making baby blankets and booties for all her grandchildren. She never refused requests from friends to create items for their loved ones. She meticulously put her skill and love into each creation. Betty loved nothing more than being “mom” and “grandma” to her family. She was very proud of all her children and always placed their needs and desires ahead of her own. Her kids always came first. Betty counted as blessings her stepchildren and her many grandchildren and great-grandchildren. She was a good friend and enjoyed her friends’ company. She always had a warm smile and open door for all those who knew her. Betty had nine children and was widowed by her husbands, Trinidad C. Garcia and Jesus Corbera; and predeceased by two children, Rosemary and David. She is survived by her children; Cheri (Burnie), John (Ow), Darrel (Janet), Joe, Jim (Susie), Robert (Jinnie), Connie (Susan). Her surviving siblings are La Rita Creasey, La Donna Norman, Sharon Lambert and Ed Johnson. A private viewing was held on Feb. 19, 2019 in Chico. A celebration of life will be held for Betty at a later date. In lieu of flowers, the family asks you make a donation to a charity of your choice or to the CDF Firefighters Benevolent Foundation in her honor. Josie Landa-Mallery was born to Estaban and Delores Landa on July 1, 1945 at Riverside Hospital in Susanville, California. She graduated from Lassen High School. In 1963 she married Raymond Mallery. They recently moved to Reno, Nevada and enjoyed returning to the Susanville area as often as possible. She was employed in the food service industry with positions at Lassen Memorial Hospital, Richmond Elementary School and Lassen High School. She received her cosmetology license in 1990. She was a lifelong member of Sacred Heart Catholic Church, where she was involved with the Caring and Sharing program. She was a member of the Lassen County Cow Bells. She enjoyed watching any kind of sporting event, taking care of her house plants and garden flowers and keeping up on the family tree and genealogy. She loved to cook and enjoyed cooking for family and friends. She always looked forward to hosting the annual Rotary Cattlemen’s Barbeque. She was very proud of her Basque heritage. Her grandchildren and great-grandchildren brought her the greatest joy and she looked forward daily to when she could see them next. Josie is survived by her husband, Raymond Mallery of 55 years; her three daughters, Monica (Mallery) Wilmoth and son-in-law Guy Wilmoth, Michelle (Mallery) Miller and Stephanie Mallery; six grandchildren, Travis Wilmoth and his wife Heather, Tanner Wilmoth and his wife Libby, Morgan Miller, Sarah Miller, Jessica (Mallery) Baamonde and her husband Nick, and Daniel Mallery; and four great-grandchildren, Tynlee Baamonde, Oliver Baamonde, Mila Jo Baamonde and Rae Alice Wilmoth. Preceding Josie in death are her parents Esteban and Delores Landa; brother, Albert Landa; Granddaughter, Macie Miller; and son-in-law, Rich Miller. Services will be held at Sacred Heart Catholic Church at 11 a.m. Saturday, March 9, followed by a graveside service and a friends and family gathering. Flowers are welcomed. Dianne Kolste, the first child of Les and Gayle Kolste, was born in Conrad, Montana. She would later be joined by three sisters: Sandy, Leslie and Shirley. We always called her Dee Dee. The open spaces of Montana provided the perfect place for Dee Dee to spend her first years. In a time when children were able to roam freely, Dee Dee, a fearless tomboy, made the most of it. She dearly loved the farm where our dad was raised. No matter the problem, with Dee Dee’s strong will there was always a way. She drove the farm’s pickup long before she could see where she was going. I can still picture her hands on the pickup’s steering wheel, body stretched out fully to reach the gas, head and shoulders just barely clearing the bottom of the wheel, blindly but confidently steering the pickup as I shouted directions from the passenger seat and our uncle tossed hay to the cows from the back. A natural fisherman, Dee Dee developed a love of the sport when we were living in Choteau. She looked forward to family get-togethers with grandparents, aunts, uncles and cousins. Being outside was always the best; swimming, hiking, ice skating, sledding, reading comic books while lounging on high limbs in tall trees and, when we lived in Plentywood, lying on the grass watching the magic of the Northern Lights against the darkness of the Montana sky. Her experiences would leave her with an abiding love of family, friends and the great outdoors. When conversations turned to what we wanted to do when we “grew up,” Dee Dee’s answer was always the same: “I am going to be a teacher.” It would be a very fitting occupation for Dee Dee, who had a lifelong love of learning. Becoming a mother at a young age, Dee Dee’s life initially took her in other career directions, first in banking and then in agricultural real estate. When her husband Jimmie and she moved to a ranch in Alturas, California, Dee Dee realized her childhood ambition of becoming a teacher when she accepted a position at Modoc High School. Having a genuine compassion for her students and a driving ambition to give them skills that they could use to enhance their lives, she had been born to teach. Her skills and talent were recognized when she received an award from the California state superintendent of schools. While living in Reno, she was able to once again teach, this time at Wooster High. She thoroughly enjoyed the experience. After she had been widowed too soon, even the eternally optimistic Dee Dee could not have predicted the next wonderful chapter of her life. When she met Roland Messier, it was an instant match. It didn’t matter what they were doing, conducting a survey for Roland’s business, seeing the fjords of Norway, fishing at Frenchman Lake, they always enjoyed spending time with each other. As Dee Dee liked to say, they were always up for their next adventure. Roland and Dee Dee packed 40 years of living into the 16 years they spent with each other. Dee Dee loved her three children, Jason, Heather and Nick. More than once she said that, no matter how old your children are, you never stop worrying about them. From birth to watching them take their first steps, to their earning their first drivers’ licenses, to seeing all of them become parents themselves. Dee Dee rejoiced in seeing them take life’s steps and reach their own milestones. Dee Dee and Roland were wonderful grandparents to Shayna, Haley, Jamie, Wyatt, Jessie, Jewel, Ryan and Georgia. Roland was the kind of grandpa who relished a ride on the highest water slide and Dee Dee was the kind of grandma who had just as much fun as the grandkids when watching movies, playing poker for Girl Scout Cookies, riding horseback, catching an Ace’s game or any of the activities that they all enjoyed together. As her grandchildren grew into adults, Dee Dee remained their steadfast cheerleader, guide and friend. Exceptionally organized, Dee Dee consistently had the type of self-discipline that most of us aspire to when making our short-lived New Year’s resolutions. Homework as a child, taxes as an adult, household chores — all of life’s mundane activities were quickly and efficiently dispatched so that she could move on to more interesting things. Over the years some of those things included traveling, dancing, skiing, boogie boarding, attending a myriad of concerts, horseback riding and camping. Dee Dee’s good looks and sunny disposition often caused many people to underestimate her abilities. Some of my favorite stories were told by her business colleagues where customers and other associates were surprised to discover that they were dealing with a person who was whip smart and who could more than stand up for herself — but always gracefully. Sassy. Beautiful. Young-at-Heart. Caring Educator. Strong. Loving. Radiant. Joyful. I can picture Dee Dee smiling when seeing all of the kind words that friends, former students and family have left on her behalf. 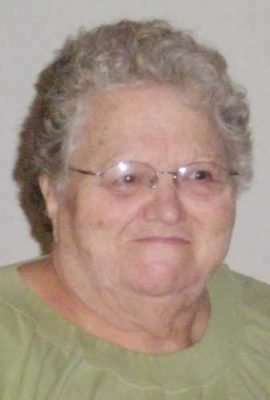 Joyce Marie (Tanner) Cunha, 90 passed away at her residence in Standish, California on Feb. 19, 2019. She was born in Susanville and lived around the area all her life. She was a housewife and loved living at the family’s ranch. She is survived by her daughter, Mary M. Hoffmann (Terry) of Montana; granddaughter, Kathy Macky (Doug); three great-grand daughters, Catlyn, Hannah, and Ava, of Red Bluff, California; grand-daughter, Stacy Adamson (Scott), of Forest Ranch, California; great-grandson, Trevor Abbott (Calie), of Los Molinos, California; sister, Mary Rea, of Susanville. She was preceded in death by her husband, Fred Cunha; grandson, Robert Jack; and sister, Ardene Purdy.